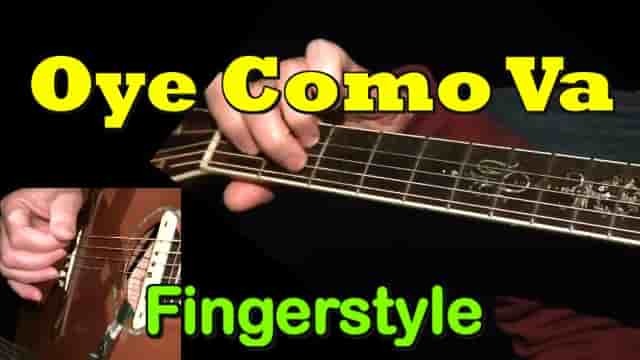 This is my easy guitar cover for beginners of "Oye Como Va", popular song by Santana. 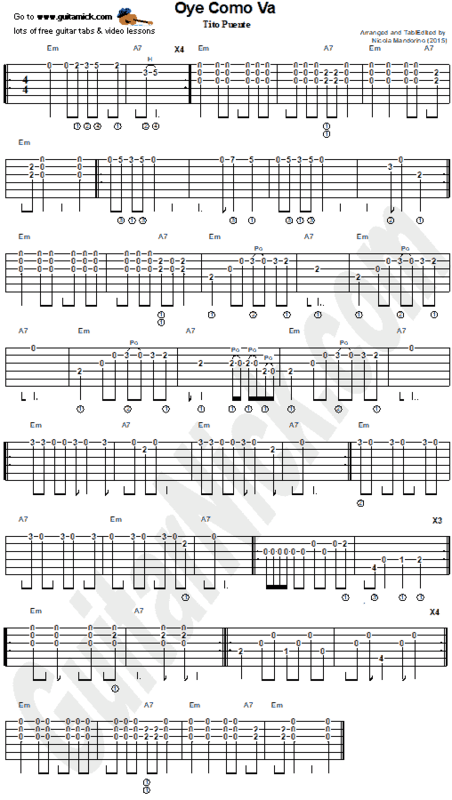 You can play this version as you prefer, fingerstyle or flatpicking. I changed the key to Em to make the song easier. Note that this is not a note-for-note trascription of the original version but it is my acoustic guitar arrangement very good for beginners. Scroll the page to view guitar tab, video tutorial, chords, lyrics and backing track. - Printable PDF Tab/Sheet and Backing Track are available to download from my Patreon page.